English swimmer Adam Peaty and Jamaican sprinter Yohan Blake will be among the world-class competitors in action when the Commonwealth Games begin next week in Australia’s Gold Coast. Ahead of the opening ceremony on Wednesday, AFP Sport picks out eight stars to watch during the April 4-15 showpiece. Adams seems to have been around for ever and this will be her fifth Commonwealths — her haul so far is three gold and one silver. Still only 33, the Kiwi dominated women’s shot put for more than a decade. Her remarkable reign includes winning 107 major competitions in a row from 2006 to 2014 and two Olympic titles. But she had to settle for silver at the 2016 Rio Olympics, behind the American Michelle Carter, and is on the comeback trail after having her first child in October. 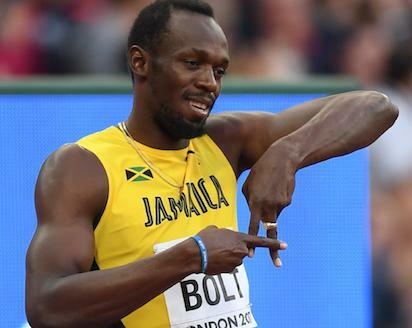 With fellow Jamaican Usain Bolt retired, Blake has a prime opportunity to step out of the sprint legend’s shadow. The 28-year-old Blake is the second fastest man of all time in the 100m and 200m — behind Bolt — but has never won a Commonwealth Games medal after skipping Glasgow 2014. Blake revealed that Bolt, who will attend the Games as an ambassador, is expecting him to win. “He said, ‘When I come to Australia, if you don’t win there is going to be problems’,” Blake told Brisbane’s Courier-Mail. Lee is a Malaysian with magic in his racquet. The badminton star boasts a formidable trophy haul and is reaching the end of a great career. His triumphs include Commonwealth gold in 2006 and 2010 — he missed 2014 injured. He would have been a multiple Olympic champion too, but lost the final to Lin Dan in 2008 and 2012, and fell to another Chinese player, Chen Long, in 2016. At least Lee, 35, won’t have to face Lin or Chen in Australia. The 23-year-old with the boy-band looks leads England’s hopes in the diving and is also one of the biggest stars at the Games. He burst onto the scene as a fresh-faced teenager and is a double world champion in the 10m platform. In the same discipline he also won gold at the 2010 and 2014 Commonwealth Games. At the Gold Coast Games, the double Olympic bronze-medallist will compete in the 10m platform and also the 3m synchronised event. The bespectacled Horton is the reigning Olympic 400m freestyle champion and is also slated to go in the 200m and 1,500m events at the Commonwealths. The 21-year-old’s preparations hit a snag in the build-up when he was stung by a bee and suffered an allergic reaction, his arm ballooning in size. Horton, who cuts a scholarly-looking figure with his thick specs — but has the daunting nickname “Mack the Knife — faces stiff competition in the 200m from fellow Australian Kyle Chalmers, the Olympic title-holder in the 100m freestyle. The Englishman is the 100m breaststroke Olympic champion and world record-holder in the 50m and 100m. He will also be defending his Commonwealth title in the 100m. And there is bad news for his rivals because he is in excellent form, winning the 100m at last month’s British championships with a season-best 58.78sec. Peaty, unbeaten for nearly four years, warned his rivals afterwards that he was gunning for a world record to go with Gold Coast gold. The 27-year-old South African runner is a two-time Olympic gold medallist and three-time world champion over 800m. She will be strong favourite to pull off an 800m and 1,500m double in Australia and has even been tipped for a new world record over 800m if she hits top form. Semenya, South Africa’s flag-bearer, has been dogged by gender accusations since shooting to fame when she won the 800m crown as a teenager at the 2009 world championships. Thompson is the 100m and 200m Olympic champion and another hoping to grab the headlines following the retirement of fellow Jamaican track star Bolt. However, the 25-year-old does not enjoy the dominance that Bolt had and at the world championships in London in 2017 she finished a disappointing fifth. “Losing the world championships was just a big motivation for me and that gives me a big boost to work even harder for 2018,” Thompson wrote on Facebook in January. The post Eight stars to watch at the Commonwealth Games appeared first on Vanguard News.